The game just isn't working. I got 3 panels but can't get the last one. I've upgraded several times and planted so many flowers for the last two days, everything else is getting neglected. What is wrong with this game? If I can't get an answer I'm going to have to quit. Don't know what else to do. Glad I haven't spent money on this. I would have had a "rage" stroke by now. I contacted support,they tried if it worked for them and they told me it worked well,today i tried again but i keep losing the task. So if they don't adjust it,it remains that way. I keep having the same problem. After the 1 issue I had with the 2nd panel, it seems to be working fine for me. I will be finishing the 5th panel tomorrow. Thank you, but it didn't work. Hoping the clock is a pause until I can finish it. I have repeatedly asked for and received horseshoes to make the White Pompom necklaces needed for the Restoration Canvas quest. 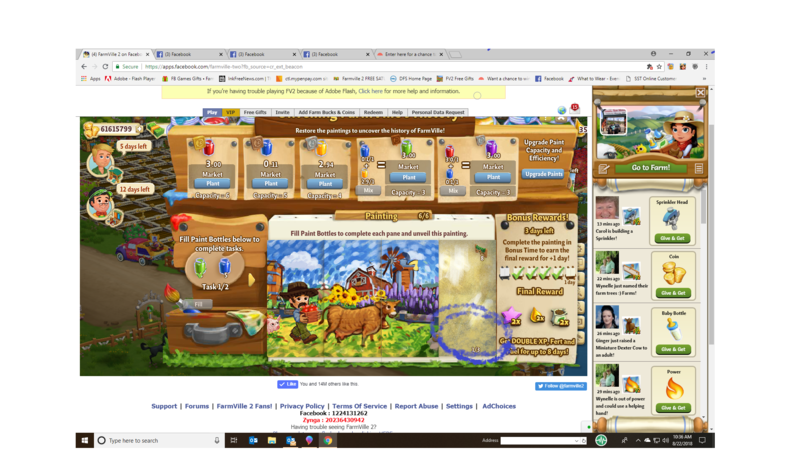 NOT ONE of the donated horseshoes has gone into my inventory. What is up with this bug infested quest? I have had nothing but problems with this quest. I did send in a support ticket but got no helpful response. I received 2 of the 'trophies' for part 1, does part 2 start right after the 7 days of xp and fuel? 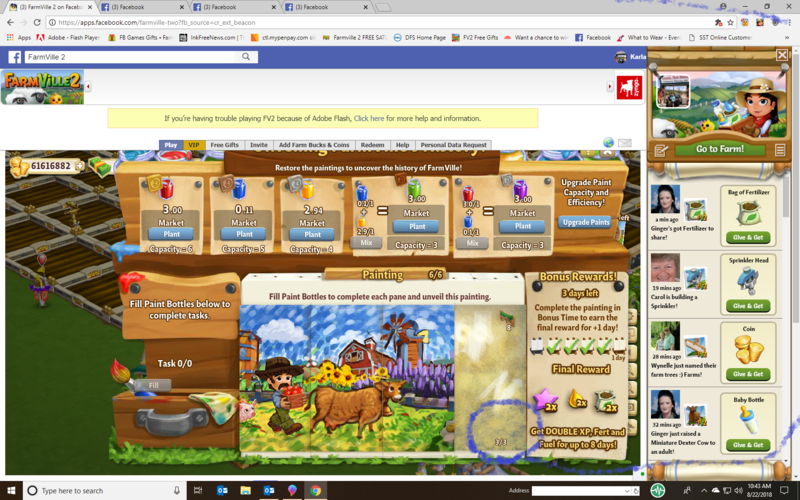 have had same issue on last panel on level 5 and now the last panel on level 6 I sent zynga a message when on level 5 and they said they couldnt verify that I had actually completed it. Yesterday on panel 6 I sent them a screen shot that showed 1/3 collected for the last panel and then reverting to 0/3 Today when I went into it it was showing 3/3 but would not complete and then reverved back to 0/3 ridiculous. I'm on my 4th panel of painting no. 4 (out of 6) where you need 4 paint capacity. 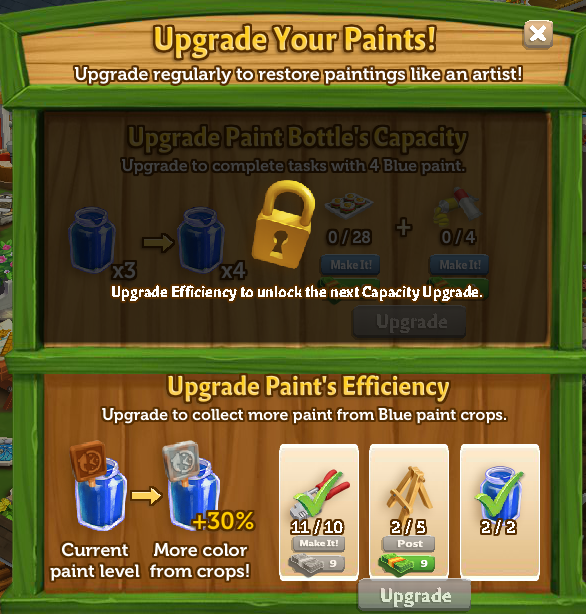 I was able to upgrade the Red paint to capacity 4, but now I am not able to do so... it seems that whenever I post for the paint easels, it does not give me any and sometimes it stays lit blue...and I can't seem to get one or click on the available ones when it comes up on the feed of zynga.. I have the same problem as most here..
You can try and post in this topic to get post items for old missions. 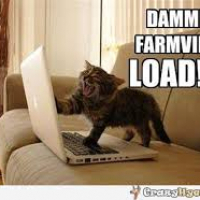 Several members here on the forums are very helpful and click when they have clicks to spare. 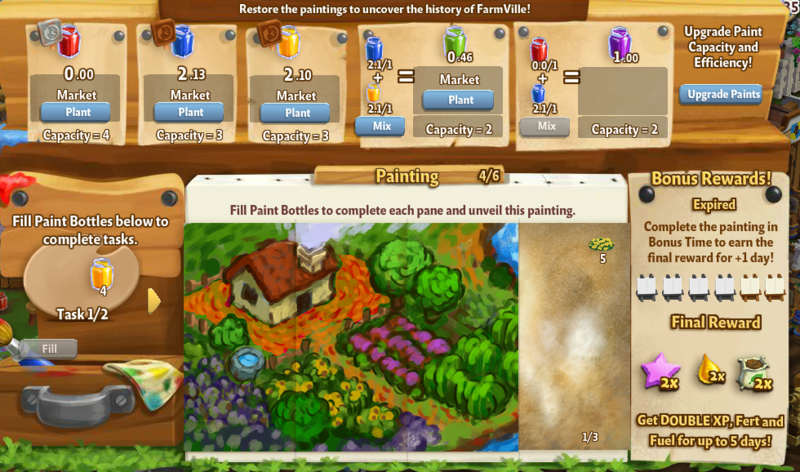 @Gugge I had to ask support to give me these and the paint pallet when you upgrade later. The post does not work, every one that I clicked on in the feed say something like this reward is not for you. There was no other way to finish this without support giving you these items.